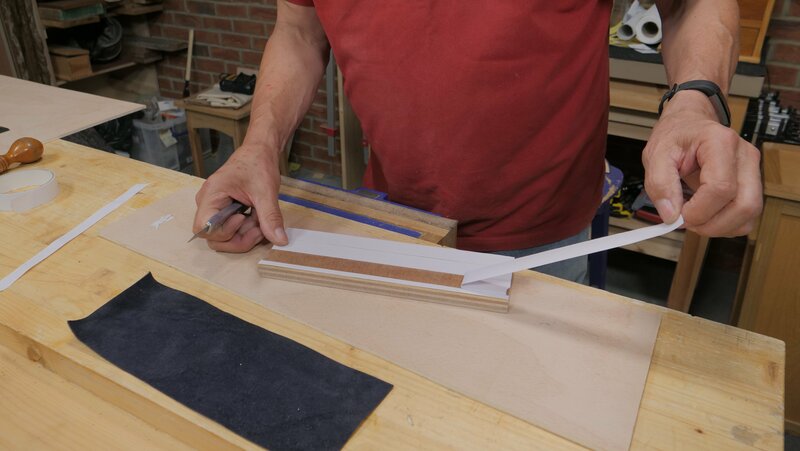 Start by covering the top face your wood with double sided tape to hold the leather, make sure nothing gets caught underneath the tape as you want to keep this as flat as possible. 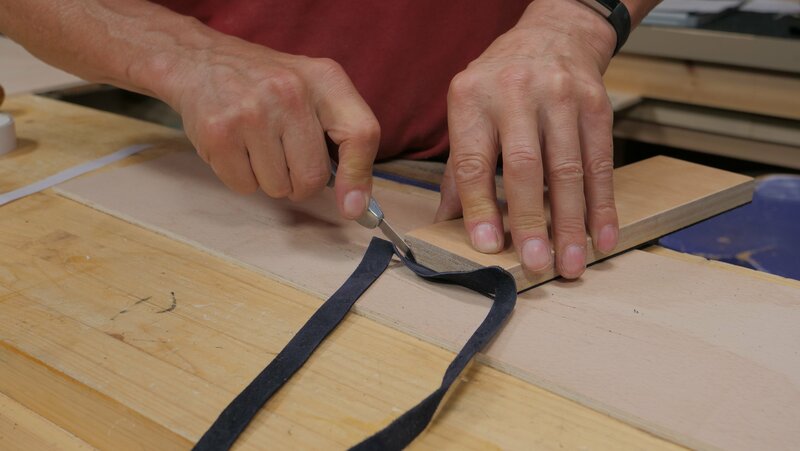 Stretch the leather over the tape. If the leather has a shinier side use it with the suede side facing up. You can use any processed leather. 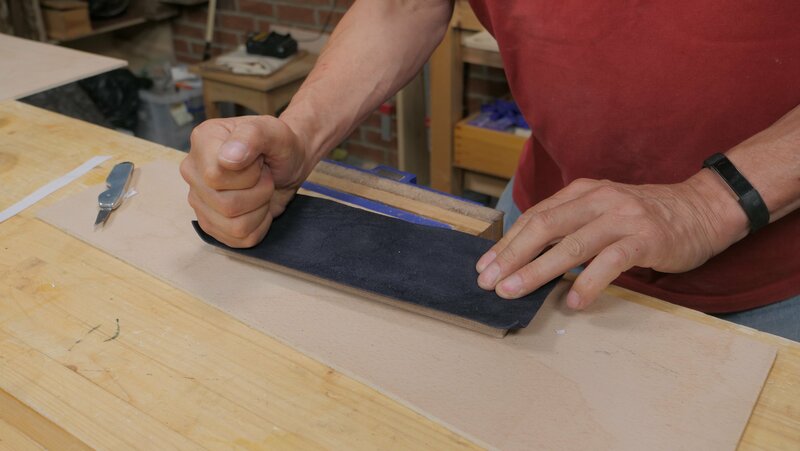 Leather is used as it is the only material tough enough to hold the buffing compound (chromium oxide suspended in a wax block). 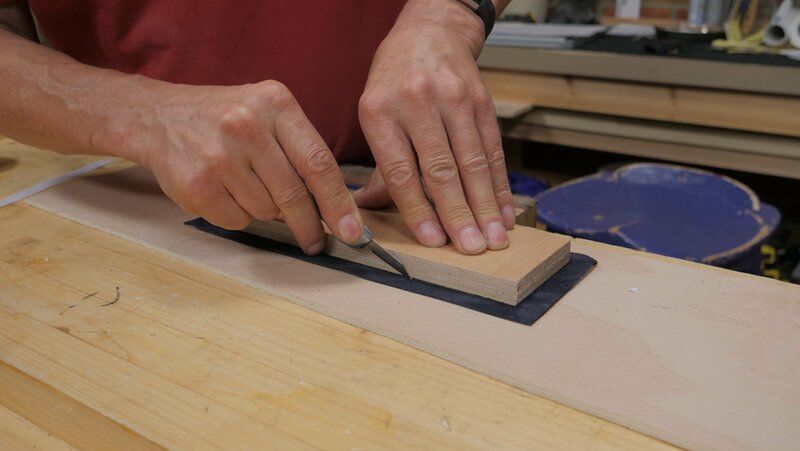 Press down firmly to ensure the leather is stuck to the wood. 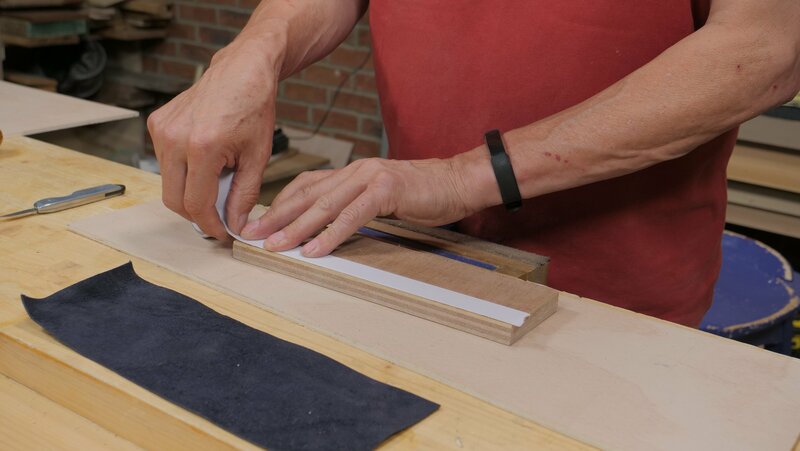 Flip the strop over and cut around it to remove the excess leather using a knife. 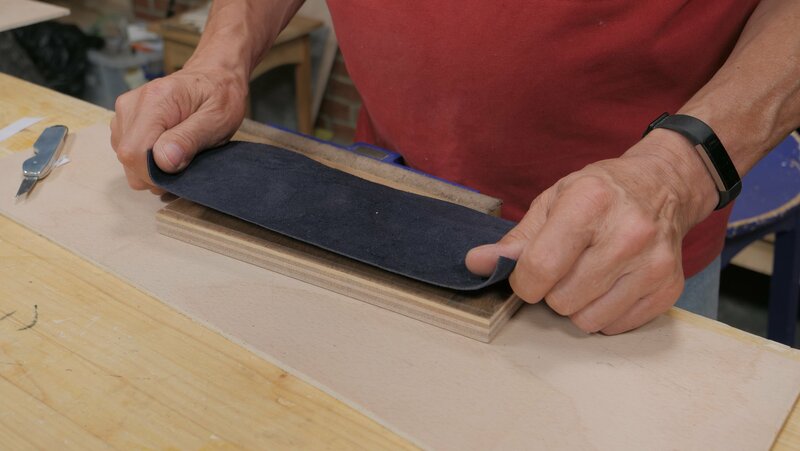 Cover the leather surface of the strop with the buffing compound, this action is called ‘charging’. This turns the leather into a 15,000 grit surface which sharpens your blade to another level while polishing it. 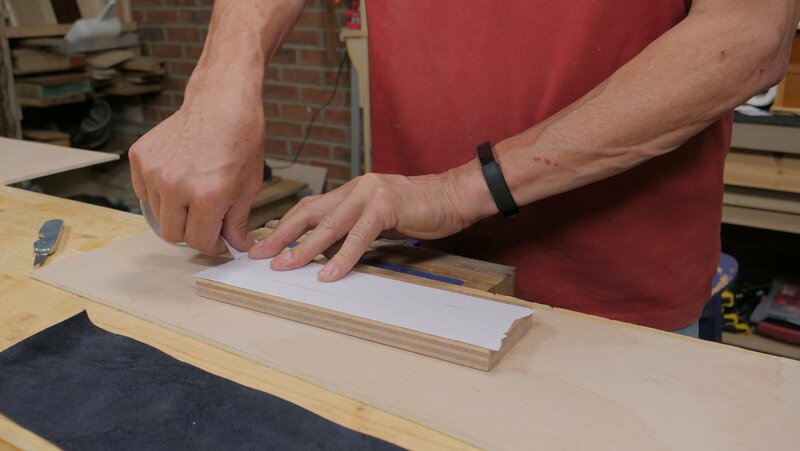 I remember the first time I had used a strop…Wow what a difference it made! 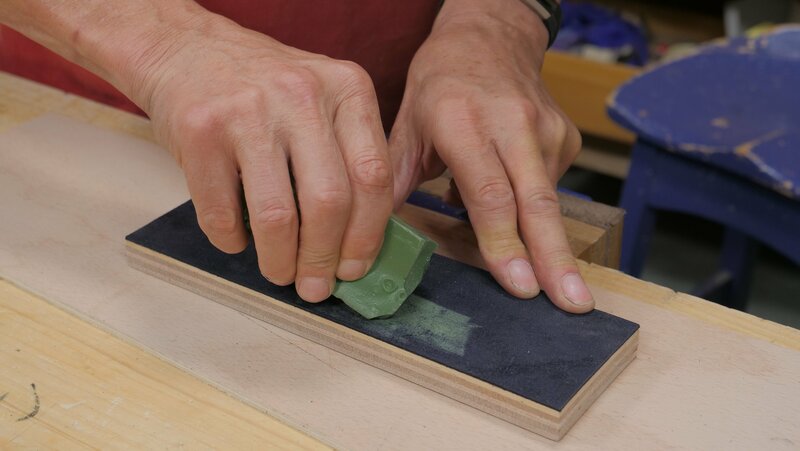 I immediately made a second, and a box with a sliding lid to store them along with the wax abrasive sticks, to keep them clean after use. 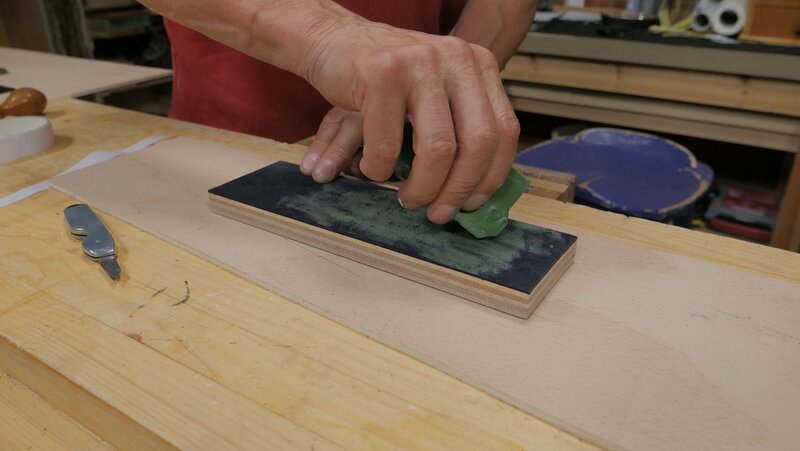 I sharpen up to 5000grit oil stone , then strop. I have compared the difference with a 100x microscope and was quite surprised as to how much smoother it is after stropping. 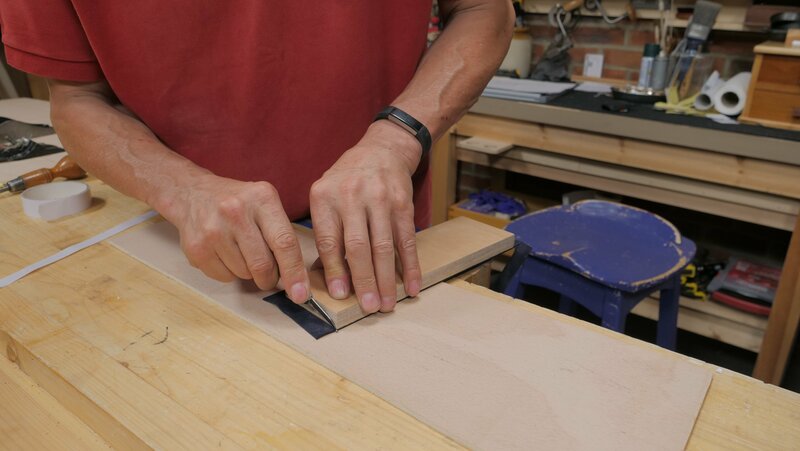 The real difference is using the tool after stropping.